Photo of ancient inscriptions on boulders are found in the Santa Catalinas Mountains. 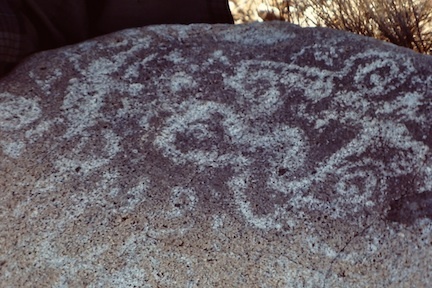 This petroglyph was located near the mouth of the Cañada del Oro, but has since been removed. Photo by William Carter. 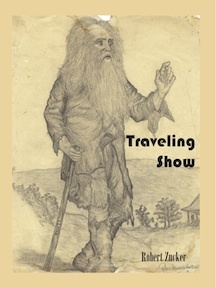 These pages of Tucson Chronicles features stories from the new book, "Treasures of the Santa Catalina Mountains," now available online at amazon.com. and local Tucson businesses. Father Eusebio Kino named the Santa Catalina Mountains on his first journey through Pimería Alta– now Southern Arizona– in 1697. Some legends claim there is still a lost Spanish mine in the Santa Catalina Mountains, called the Iron Door Mine– also known as the Escalante Mine. It was sealed off with an “iron” or “strong” door hiding vast treasures of gold bullion mined from the moun- tains. 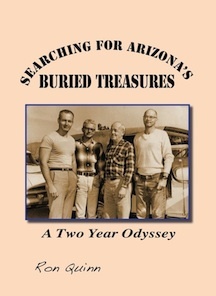 Treasure hunters have been searching the deep canyons and rugged terrain of the Catalinas for hundreds of years to find this lost treasure. The Lost Escalante Mine may have been named af- ter a military associate of Father Kino or another of- ficer of the same surname who was familiar with the mining activities in the mountains. History provides some clues to his existence. Treasure maps point to several locations in the Santa Catalinas where Span- ish mining may have occurred. Reports of arrastras used for crushing stones have been found through- out the Santa Catalina Mountains. The Santa Catalina Mountains have been inhabited for more than ten thousand years. The ancient canals, stone structures, and artifacts provide evidence of Tucson being the one of the longest inhabited “civi- lizations” in North America. Throughout the Catalinas, dozens of archaeological sites have been uncovered that represented numerous cultural periods. The most well known is the Hohokam village in the Catalina State Park on the western face of the mountains. As early as 1875, Tucson pioneers reported seeing ruins throughout the mountains. In 1880, two prospectors reported that they discovered a stone building, like a church, near the famed Iron Door Mine. In 1883, Tuc- son Judge Meyer told the story of a stone church near La Veñtana, a naturally formed hole or notch in the granite just north of Tucson. There are several other spots in the Catalinas with stone ruins. 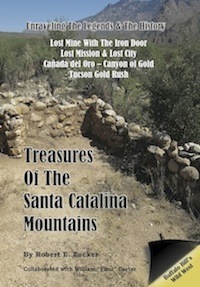 Next: Searching for the Treasures of the Santa Catalinas: Legends and history in the hunt for gold. 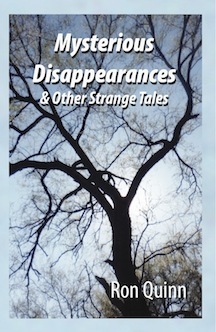 Read excerpts from "Treasures of the Santa Catalina Mountains." Today's Groupon Daily Deal on the Best in Tucson! Tucson Chronicles will soon feature upcoming print and web editions of "Entertaining Tucson Across the Decades," a recent book also by author Robert Zucker with hundreds of articles and interviews from the 1980s published in the Entertainment Magazine and Newsreal newspapers. The first edition covers the 1950s through 1985. © 2015 BZB Publishing/Tucson Chronicles. All rights reserved.